Spouse, significant other, friend, neighbor or whoever!!!! 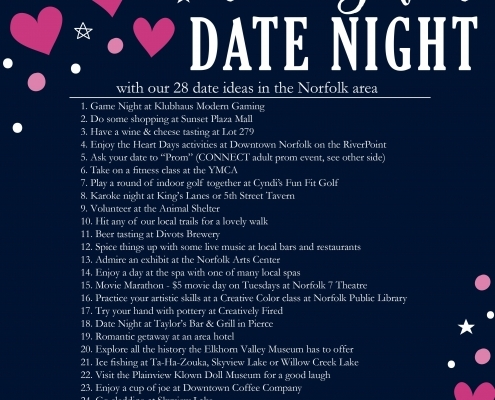 We have found 28 things for you to do on date night in the Norfolk Area. http://visitnorfolkne.com/wp-content/uploads/2019/02/Feb_19_VDayDateNite.jpg 3250 2476 webmaster http://visitnorfolkne.com/wp-content/uploads/2017/03/visitNorfolkarea-300x200.png webmaster2019-02-04 18:11:562019-02-04 18:18:03Get ready for Date Night! 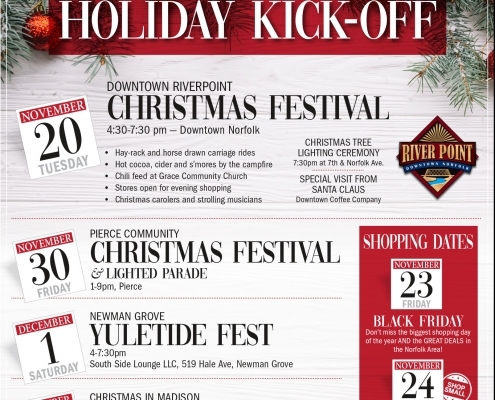 The 2018 Norfolk Area Holiday Season is near! Join us at one of our area festivals and begin your Christmas shopping on any (or all) of our special shopping dates! 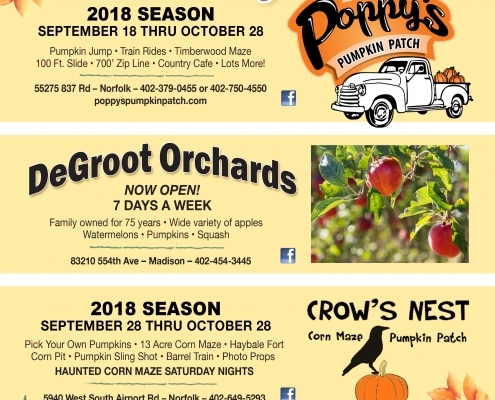 Pumpkins, Apples & Mazes, Oh My! http://visitnorfolkne.com/wp-content/uploads/2018/09/Oct_NAM_FallEvents18_Web-e1537907249148.jpg 978 756 webmaster http://visitnorfolkne.com/wp-content/uploads/2017/03/visitNorfolkarea-300x200.png webmaster2018-09-25 20:20:532018-09-25 20:38:20Pumpkins, Apples & Mazes, Oh My!